Although he finished the 1995 Tour de France and therefore is eligible for inclusion in the final day ceremony honouring those who have competed the Tour, Lance Armstrong has not been invited to the function. Tour race organisers ASO have invited all of the living finishers of the Tour de France to the Giants of the Tour ceremony in Paris, with race winners, big contenders and domestiques all to be honoured. 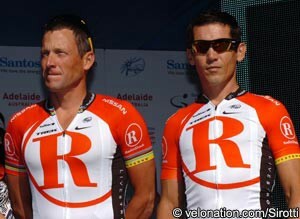 However ASO press officer Thomas Cariou has told News Limited that one rider will be missing: Armstrong. The Texan competed in multiple Tours, winning seven but later losing those titles when he was judged to have used banned substances en route to those successes. USADA stripped him of all of his results dating back to August 1998, and these include his nine Tour finishes since then. However although he also competed the race in 1995, he was not given an invite to the final day bash, which will take place on the evening of July 21st. According to News Limited, Cariou did not answer questions as to why Armstrong was not welcome. He also didn't respond when asked if any other riders were also not invited. Other Tour winners such as Bjarne Riis and Jan Ullrich have admitted to doping during their careers. This year’s Tour de France begins in Corsica in two days’ time. It is the 100th edition of the race.